Last fall I came across this adorable crossbody and knew I had to have it. While it was darling, I decided to tuck it away until bright colors were in season. Last week I finally took it out of the bag and cut the tags off so I could tote the beauty around. 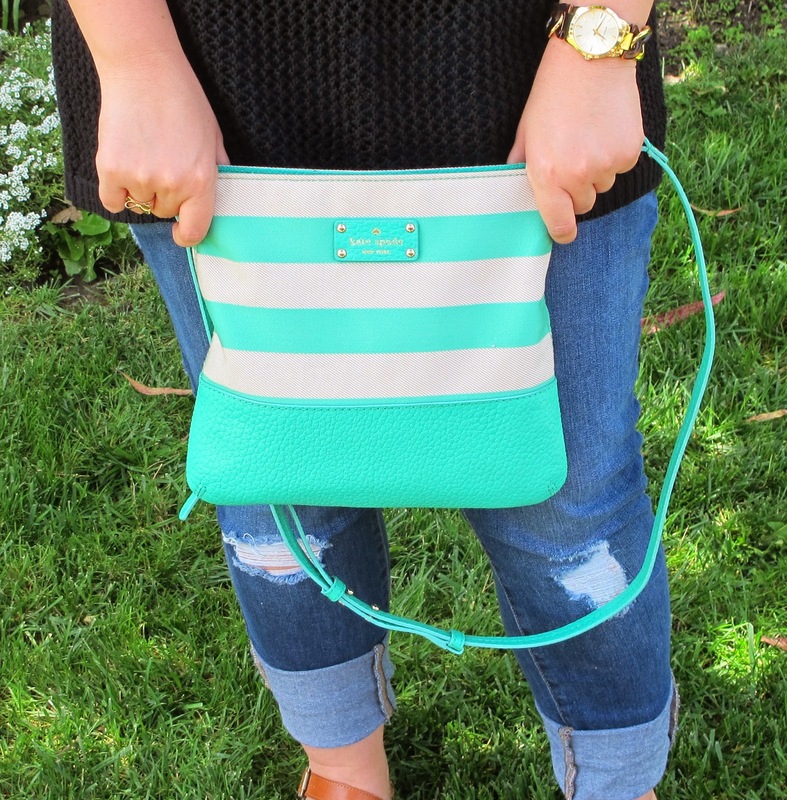 Now it's my go-to purse and I'm excited to carry it through summer! Unfortunately my bright mint version is currently sold out of all stores. But a similar design is available in a beautiful, bright blue with a few extra stripes. And if you're more of a simple style kinda gal, there's also a Grove Court Cora white/almond version and the very similar black Grove Court Tenley! Such a cute color and the perfect size. I need a cute cross body bag. Good choice! What a cute bag and I love the color!! 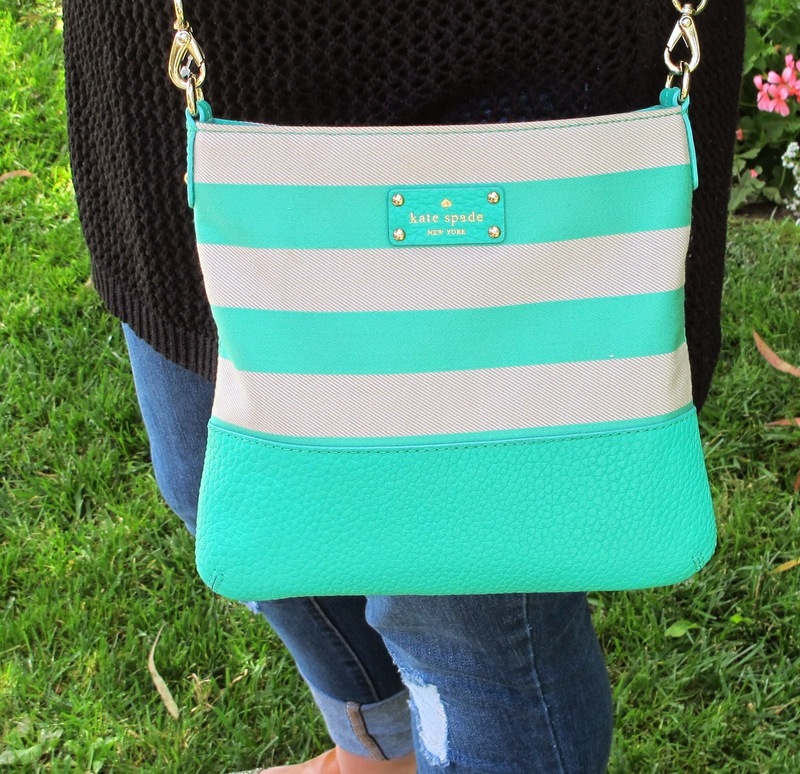 Oooh, turquoise Kate Spade stripes? I'm a fan! 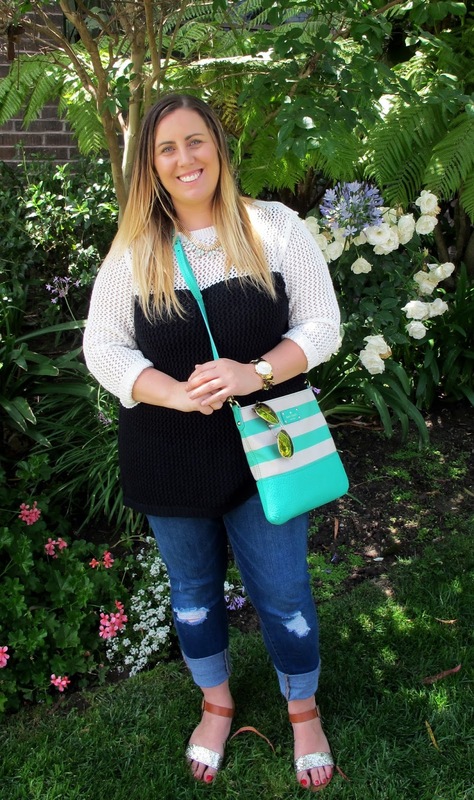 OK I love the sweater and sandals but I am truly in love with that stunning bag. I so love your outfit and that bag is fab!! Have a good weekend. Ah, your bag is to die for! Love it! Oh LeeAnn! It has been ages since I have seen you. Odd how blogging keeps some in the fore-front, top of mind, and how others are skipped over very unintentionally. Nice to hear from you and you dang cute Kate Spade cross body bag. I swear I am so behind the times on bags. I am bearly embracing the satchels and then they are disappearing and I am seeing more and more cross-body or clutch styles again. I CAN'T KEEP UP....LOL. Thanks for being at "Fashion item Friday" , I love you being here so much. I need to get back to you hop next week, I do I do. 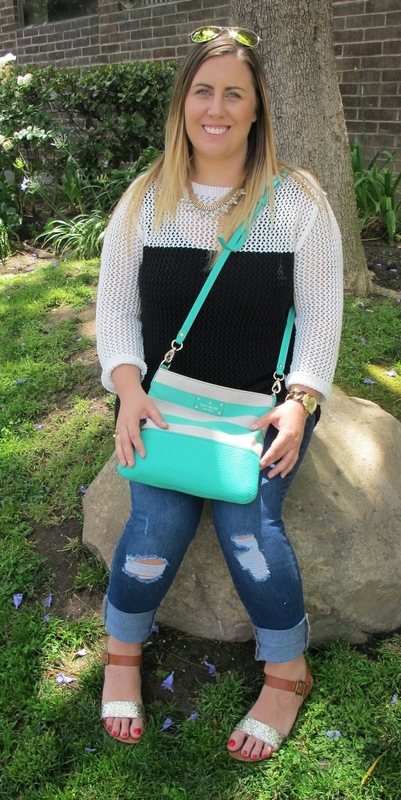 Great bag - love the colors!